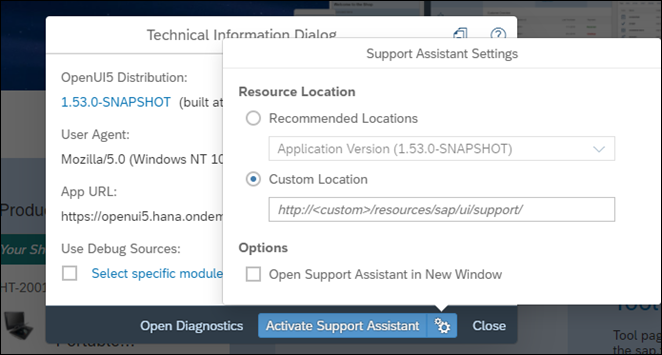 In the previous post you got a glimpse of how the UI5 Support Assistant can be useful for your apps. Now, we’ll take a deeper look into the tool and touch upon the features that give you the power to be flexible when analyzing your apps. First, check out our video. Note the freedom that comes with the Support Assistant – the latest tool and rule versions can analyze older app versions. Clearly, the Support Assistant gives you flexibility to analyze your apps. It’s designed to allow you to change the scope of analysis to narrow down the results you get. Thus, you can focus on specific issues, components or controls in your app that you are interested in. By default, when you run an analysis, only the rulesets attached to the libraries required by the current app UI views will be loaded. But we give you the option to also load the additional rulesets from the Additional Ruleset tab in the Rules view. Keep in mind that if you navigate to another view, additional or different libraries and rulesets will apply, so you’ll need to analyze again. We get to the stage where we’ve analyzed our app and identified the issues. But many times, we need all hands on deck to resolve a particular issue. This is where the HTML report comes in handy. For each analysis, you can open a report in a separate tab or download it to save locally or attach in an email. Note the wealth of technical information included – versions, loaded libraries, browser agent info. You can easily report and work in collaboration on resolving the issues. You can get more insights following the official documentation. We’ve covered most of the assets of our supportability tool but there’s one more major point left which is worth elaborating on. Perhaps you’ve asked yourself where do the rules that the Support Assistant uses come from and how can you be sure that they’ll be applicable to your app. 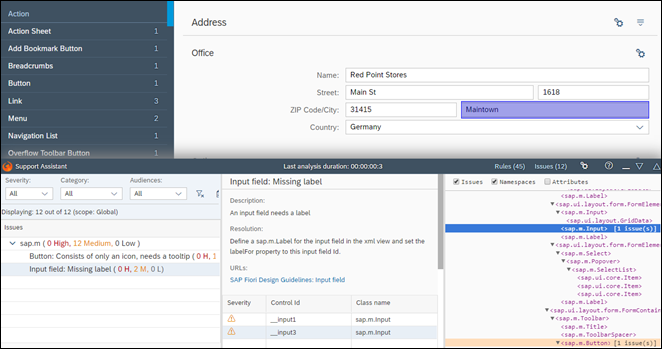 Currently, they’re developed and provided by the SAP UI5 framework and control experts together with Fiori design elements and app teams. 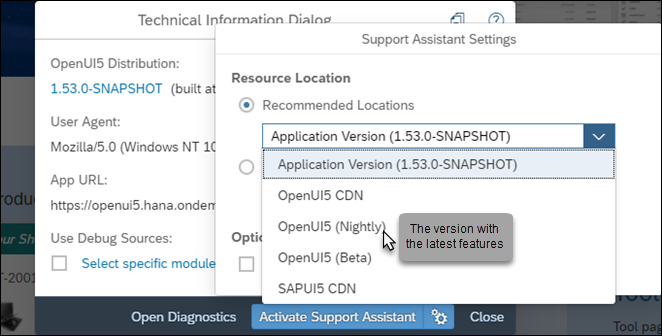 The nice part is that the Support Assistant and rules are made public with openUI5 distribution. You can play with the embedded code editor – just create a temporary new rule or clone an existing and change it. Mind that some rules check functions call helper functions which should also be brought in the closure to be able to code and run on the fly. And you can contribute by creating and sharing your own rules. This topic, together with how to automate the rule check execution, will be covered in my next article. Until then…I wish you happy and peaceful holidays! Daniel Vladinov is a Product Owner at SAP with 13+ years of experience in the company. Member of the UI5 (HTML/JS UI library created by SAP) development unit in Sofia. Strongly focused on UI5 supportability tools.